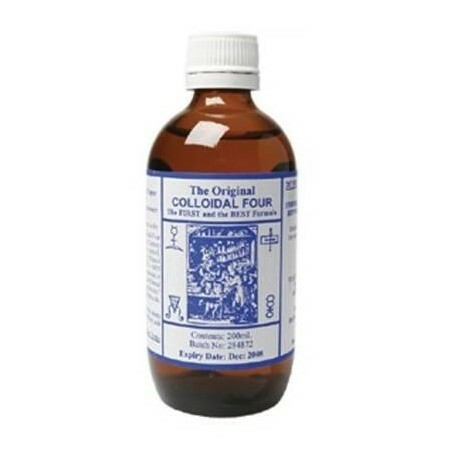 The Original Colloidal Four is a blend of Silver, Gold, Platinum and Copper to creat a natural mineral supplement. 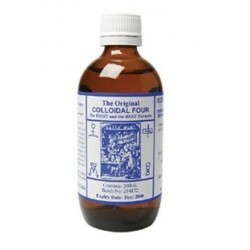 The Original Colloidal Four blend is the result of an electro-magnetic process that pulls microscopic particles (.001 - .005 micron) from a pure miernal rods into a liquid. These microscopic particles are suspended by a 21st century hi-tech Electro-Colloidal, non chemical method and can easily penetrate and travel throughout the body. 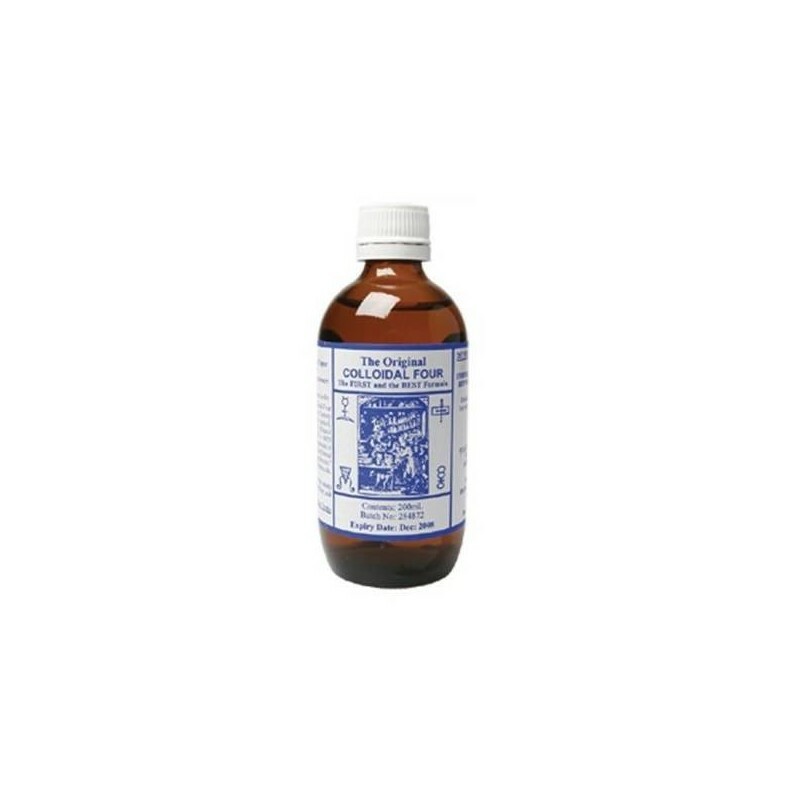 Contains superfine (99.95%) mineral particles suspended in distilled mountain rainwater. Triple-filtered through the Swiss 'Grander Living Process' without the addition of any chemicals, stabilisers, dyes or carriers.